The Turinese publisher UTET used to host business lunches for potential clients at the Hotel de Paris, in Strait Street. Upon reading Desmond Zammit Marmarà’s ‘Cosmopolitan Malta’ (December 18), one has to wonder whether the Times of Malta’s editorial policy is to periodically publish, tongue-in-cheek, silly articles for the delectation of its more intelligent readers, or to mix high-calibre contributions (e.g. by Ranier Fsadni, André Debattista, Michael Briguglio, and others) with weaker ones (e.g. by Zammit Marmarà). ‘Cosmopolitan Malta’ was an article replete with generalisations, incorrect interpretations of the past, contradictions and even a tinge of racism. (A) Malta is fast and thankfully (!) morphing into a cosmopolitan “place full of people from different countries and cultures... where one has to continuously adapt to different ideas and ways of doing things”. (B) This will be a success but the “non-Maltese workers” have to be “made familiar with all aspects of our culture”, “thoroughly educated in Maltese cultural ways”. (C) This will be Joseph Muscat’s greatest legacy. Your correspondent has no clue what he’s talking about. What he is describing is good old nationalism, the 19th-century French variant to be more precise. You can be of whichever race or ethnicity and whatever religious persuasion, and have any orientation your heart desires, but as long as you behave like a Frenchman (whatever that is), you’re accepted as one of us. Your correspondent thinks he’s talking about cosmopolitanism, or the post-national society, when in reality he is a proponent of nationalism: “Our culture”; “Maltese cultural ways”. Historical inaccuracies abound in the article, most glaringly the insularity myth. If you exclude the big cities, Europe brims with island mentalities. People think that their way of doing things is the only correct way. Your correspondent seems to confuse the clash between urban and provincial mentalities with cosmopolitanism. Physically, Malta is an island. But in some respects, the Maltese are more open-minded than other Europeans who live in rural or provincial places. Like the Dutch, the Maltese have a seafaring component to their national character, opening them to foreigners. Your correspondent wrote that having “to continuously adapt to different... ways of doing things would have been unthinkable a decade ago”. Pre-Independence Malta benefitted from its subjection to the British Empire and its geo-cultural proximity to Italy. 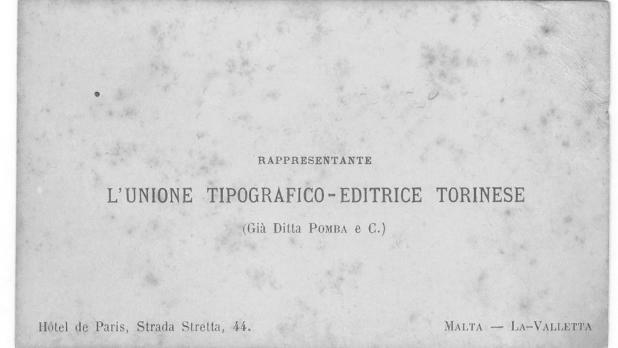 Maltese trade unionists borrowed significant ideas from their British brethren, whereas the intelligentsia was so open that a representative of the Turinese publisher UTET used to host business lunches for potential clients at the Hotel de Paris, in Strait Street. Post-Independence Malta toiled to be “up-to-date”. Dom Mintoff’s 1975 marriage law and the Nationalists’ 1993 family law are examples. Irrespective of whether these “progressive” laws have been successful, how can your correspondent claim with a straight face that progress began only with Muscat? He seems to believe that Muscat, Peace Be Upon Him, redeemed the Maltese from ignorance and superstition... next he will be raising the dead. Sycophancy apart. Your correspondent is incorrect on “ignorance and superstition”. He seems to peddle the notion that all Europeans are sons and daughters of the Enlightenment, keen followers of Voltaire, Kant, and Kenneth Wain. This is yet another myth. Secondly, and here one finds the possible element of racism, your correspondent talks of inducting “non-Maltese workers” to “Maltese cultural ways”. The pie-in-the-sky cosmopolitanism Muscat is pushing will wreak havoc. The chances are it will fail, as has happened elsewhere in Europe. Just look at the effects of such half-baked policies on populations neither ready nor willing to embrace them. The policemen in bulletproof vests carrying sub-machine guns dotting London, Paris, Brussels and other “cosmopolitan” cities are a telltale symptom of this easily foreseeable disease. Lastly, I must say that it was better as it was before, when articles were signed by “A Special Correspondent”. Then, it used to be clear that you were criticising the ideas not the person. Now, the two seem to get conflated. That said, to me there is always a net distinction between person and ideas, and whereas I might strongly disagree with the ideas, I would still respect the person. This might not always be obvious, but it is the case. Mark Sammut is a lawyer and author.